What is smelting? Find out here! 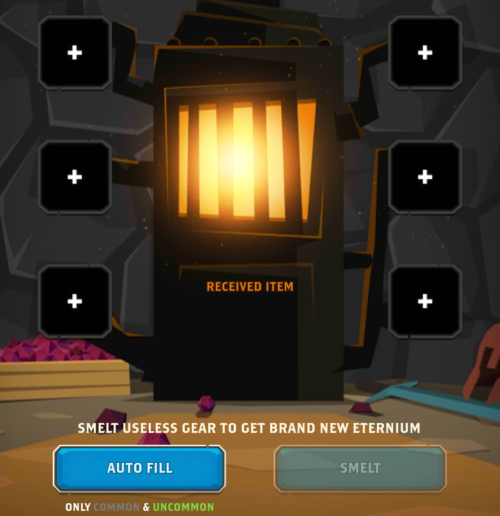 Smelt useless items and turn them into Eternium! 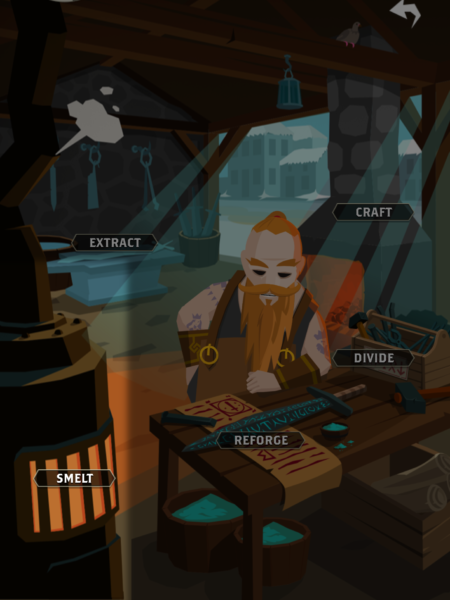 The Smelting menu is located inside the Forge. To get there, simply go to Home > Forge > Smelt. You’ll see the furnace on the left with the word SMELT on it. Smelting destroys unwanted, low quality Gear for Eternium in return. Smelted items are irreversibly destroyed! 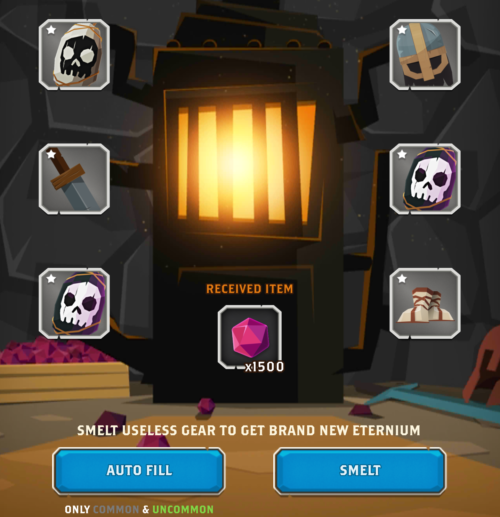 You cannot smelt items that have been upgraded or boosted. The amount of Eternium received for an item depends on the item’s quality. Items of higher quality (Rare+) have to be added to the furnace slots manually. Some quests will require you to Smelt a certain amount of items, or even a specific type of item. A Furnace with Common Gear will give you 1500 Eternium. You can also use the Auto Fill button to quickly fill all the slots, or manually select which items you want to Smelt.